It is rare for any artist to hold almost universal respect and admiration from the house music community. Cassy has effortlessly managed to garner this over the course of her career via a revered discography, critically acclaimed compilations for Cocoon and Panoramabar, and countless exceptional performances across the globe. Currently holding residencies at four of the world’s leading venues; Panoramabar in Berlin, Trouw in Amsterdam, Rex Club in Paris, and now Output in Brooklyn, NYC, it is clear that Cassy’s artistic nous has a global reach. The roots of this story lay in Catherine Britton’s well-documented childhood. Born in London to a Caribbean father and Austrian mother, Cassy moved to Vienna at an early age. Surrounded by the ghosts of legendary composers in a city steeped in music history, Cassy’s love for music and the arts was nurtured by her parents. Her first professional music outing was as a vocalist on Autorepeat’s “Music Takes Me Higher” on Sabotage Records. A relative latecomer to the DJ game, Cassy was encouraged by Electric Indigo to start mixing in her late 20s. Productions quickly followed, with a collaboration with Dave the Hustler for Mental Groove. During this time she also met Luciano, co-producing “La Ondita” on his album ‘Blind Behaviour.’ Since then the likes of Perlon, Playhouse and Dessous have all provided outlets for her sultry sounds. 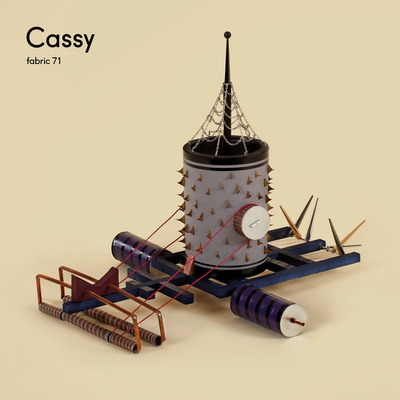 As expected, fabric 71 provides a snapshot of Cassy’s raw unadulterated sound; that unashamedly intricate mix of stripped back hedonism and an all-encompassing warm sincerity.